Carriage is a line of ladies classic and contemporary ladies watches by Timex. Timex Carriage watches offer the same features as similar watches offered by competing brands, but at a noticeably lower price. With normal wear, the battery in a Timex Carriage watch has a life of up to three years. When the time does come to replace the battery in your Timex Carriage watch, the repair process is so simple that it can be completed in just minutes. Spread an optical cleaning cloth over your work surface to protect the face of your Timex Carriage series watch from being scratched during repairs. Lay the watch face down on the cleaning cloth. Remove the back of your Timex Carriage watch to expose its battery compartment. The process of removing the back of your Timex Carriage watch differs depending on which Carriage watch model you own. If your Carriage watch model uses screws to hold the back in place, remove them using an optical-sized screwdriver and the back should come free. If your Carriage watch model has notches on the back rather than screws, adjust the tips of a watch case opening tool to fit in the notches. Apply pressure to the watch while simultaneously applying pressure to the watch case opening tool. While applying pressure, turn the watch case opening tool clockwise to pop off the watch's back cover. Move the battery strap out of the way to access the battery in your Timex Carriage series watch. 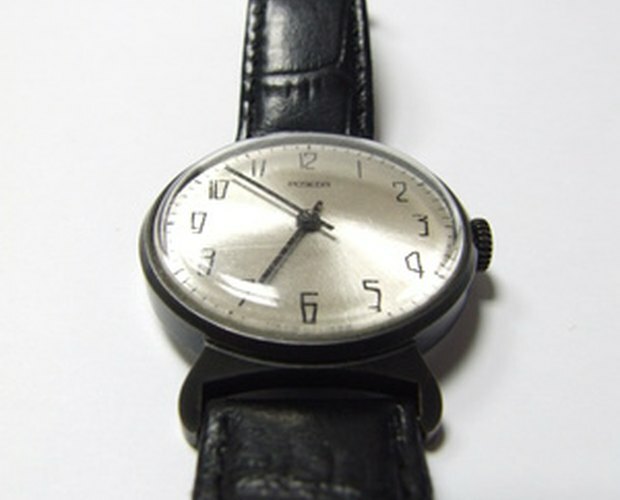 In some Timex Carriage models, the battery is held in place with a metal strap that must be pried up to gain access to the battery. Other Timex Carriage watch models use screws to secure the battery strap in place. Remove the screws, if necessary, to free the battery strap and access the dead battery. Pry the dead battery out of your watch's battery compartment using an optical-sized flathead screwdriver. Discard the dead watch battery. 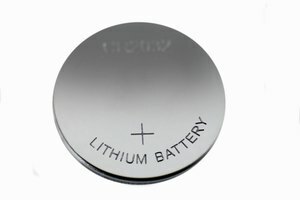 If you have not yet purchased a replacement watch battery, use the number on the dead battery to determine what type of replacement battery to purchase. Snap the replacement watch battery into your watch's battery compartment. Replace the battery strap to hold the new watch battery in place inside your Timex Carriage watch. Replace the back of your Timex Carriage watch to complete your battery replacement. If your Timex Carriage watch model uses screws to hold the back cover, replace the screws and tighten them. For other Timex Carriage watches, line up the notches on the watch back with the indentations on the rim of the watch case. Apply pressure to the watch back to snap it into place. If your Timex Carriage watch uses screws to secure the back, consider purchasing magnetic-tipped optical screwdrivers to make it easier to work with the incredibly small screws. Replacing the battery in your Timex Carriage series watch can void your watch's warranty. If your Carriage watch is still under warranty from Timex, contact Timex customer support for service.